[Editor's Note: This is a guest post by Mark Huges, CPA, CFE, Partner at ShindelRock Accounting Firm. This post was placed with his permission (and suggested by him). 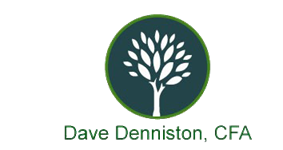 Many of our tax clients are physician groups where the employee (a physician or nurse, say) is dually employed by the group as well as a hospital or other related entity. The related entities, the hospital and the physician practice, may be paying too much for the employer’s portion of employment taxes (e.g. FICA, Medicare FICA, FUTA) for those employees. 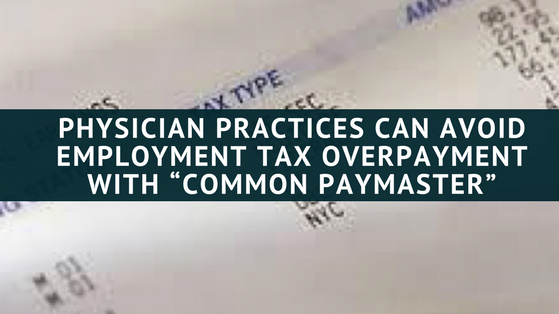 A “common paymaster” arrangement could save a portion of those employment taxes. A radiology group practicing in a professional corporation also has a separate corporate entity for outpatient MRIs. Some of the radiologists (and sometimes even billing and other personnel) are employed both by the radiology practice corporation and by the MRI corporation. An ENT group practicing in a professional corporation also has a separate related ambulatory surgery center corporation. Some of the nurses, techs and billing staff perform services as employees of both corporations. Where two related employers that are corporations, such as the radiology practice corporation and the MRI corporation, concurrently employ the same individual, the federal government has decided that the related corporations need not pay double for the employer’s portion of employment taxes. Related corporations are able to use a “common paymaster” arrangement authorized by the Internal Revenue Code allowing one of the related corporations to designate the other related employer as the “common paymaster” for any concurrently employed employees thereby eliminating the double employment tax problem. To ensure your group is not overpaying employment taxes and is eligible for a common paymaster set-up, please contact a ShindelRock tax professional. Keep in mind it typically takes a payroll company some time to set these up so it is a good idea to analyze now for qualifications and setup.